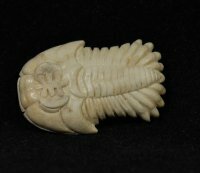 Detailed Trilobite Carving [CARVTRILO] : Fossils Online, Welcome! FNicely detailed carving made from moose antler. I apologize for the quality of the second picture.